has reached five primary schools across the divided island. The main part of the project was successfully completed between the 8th-20th of May. 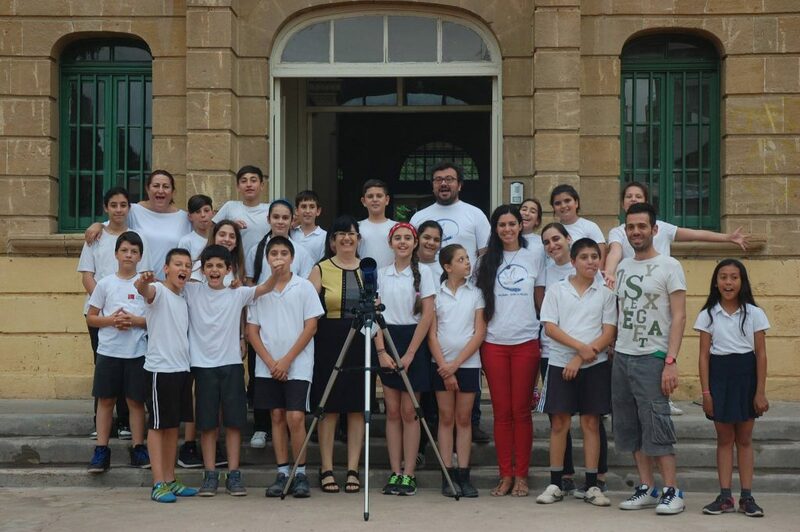 During these two weeks trainers carried out astronomy workshops in five schools as well as bi-communal astronomy activities in the buffer zone on two Saturdays with children from all over Cyprus, reaching over 80 students and 15 teachers in the bicommunal activities and over 200 children through observations at the schools. Through the program, children from the Greek Cypriot and Turkish Cypriot communities came together at the buffer zone in Cyprus and learned about astronomy and the universe, as well as about each other and their common history and heritage, through fun games and activities. More activities are scheduled in two schools for autumn 2017 along with more monthly activities with teenagers, while two days of astronomy activities will be carried out in a bicommunal summer camp (in July) with youth from both sides of the border in Cyprus.